Published monthly, the Monthly Prescribing Reference includes product monographs and prescribing information on over 2,300 products. The magazine has been the most widely-used drug reference by clinicians for over 24 years. *BEST VALUE* Get 12 issues for $98 ($8.17 per issue) from ValueMags.com. Get 24 issues for $245 ($10.21 per issue) from MagazineAgent.com. 9 Other Stores We also checked the following 9 stores and they do not appear to sell Monthly Prescribing Reference Magazine: Amazon.com, BestDealMagazines.com, College Subscription Services, DirectMagazineService.com, DiscountMags.com, MagazineDealsNow.com, Magazineline, MagazineValues.com and SubscriptionAddiction.com. Click on the desired price/store/issues in the grid for details on subscribing to Monthly Prescribing Reference Magazine. Flagship title includes product monographs and prescribing information on over 2,300 products. It is the most widely used drug reference by clinicians and for over 24 years. Published Monthly, our flagship title includes product monographs and prescribing information on over 2,300 products. It is the most widely used drug reference by clinicians and for over 24 years. 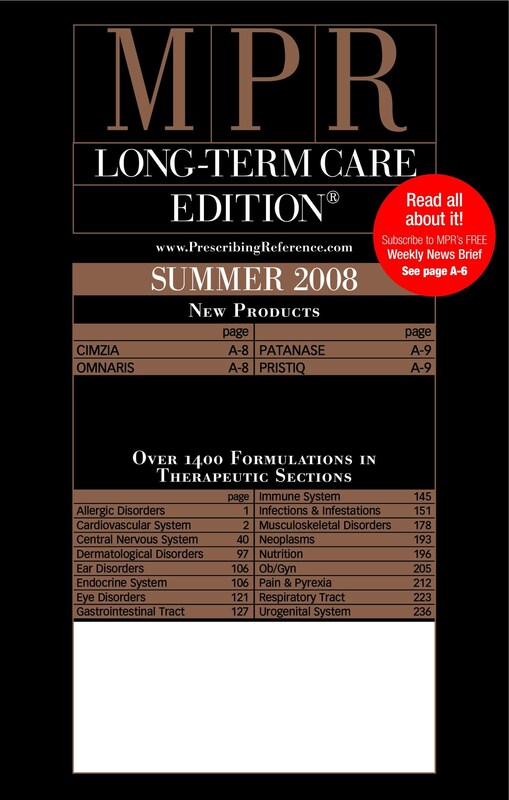 Find the best price for Monthly Prescribing Reference at MagazinePriceSearch.com!